• Simply enter your details here for the shot to win the Xperia™ PLAY, plus their Play Pack, which gives you three Gameloft titles, a multimedia dock, and a micro USB cable. 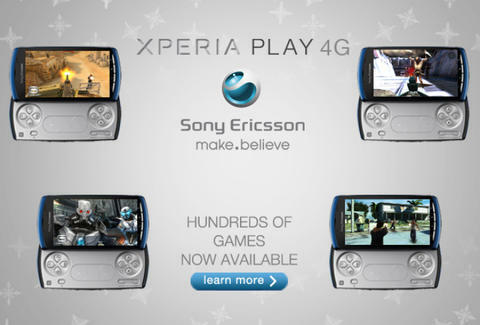 • Purchase the Xperia™ PLAY before Jan 15, 2012 and you'll score five free downloadable EA games such as FIFA 12, Need for Speed Shift, and Dead Space. There it is, the only device you'll ever need to game to your heart's content, then call up your friends and let them know how superior you are in Every. Game. Ever.